Together we can work towards quality public education for every child. Every child deserves access to quality education. 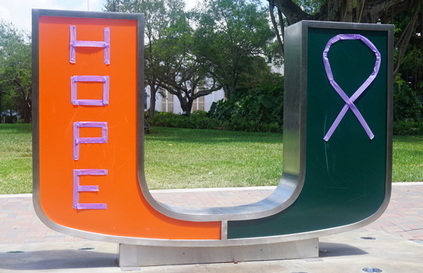 For this reason, Streamline Miami Foundation is focused on the theme of "College Readiness." Join Streamline Miami in preparing and exposing our students to higher education. Learn more by clicking on the Donate: Project Higher Education page. Exposing urban students to Marine Biology and Atmospheric Science. What occurs during storms? What is global warming? What are the environmental effects? Viewing a wave laboratory. We ended the field trip by attending an afternoon at the Miami Sea Aquarium. A day to remember. Earlington Heights Elementary, Comstock Elementary, Benjamin Franklin K-8 Center and Edison Park K-8 Center were chosen schools to attend. Streamline Miami Foundation coordinated the bus transportation for each school. Our administrators, teachers, supporters and donors came together to celebrate the achievements made to benefit City of Miami urban students. This event raised over $2700.00. Funds will be used to cover bus transportation and costs of great educational field trips. Thank you everyone! 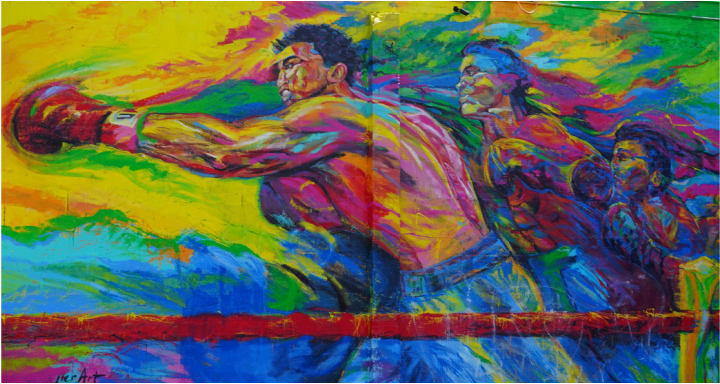 City of Miami, Urban Artist created a live work of art and then auctioned many of his works. Educators like Music teacher Ms. Nefritti Yound and 5th grade teacher Mr. Don Cooper sang inspiring song. We also had DTWAN come out and perform original works. Calusa Elementary School Donated Hundreds of Book! Thank You SMF Board Member Ms. Amanda Perez! 4th Year Kindergarten and 1st Graders from Earlington Heights Elementary Learn to Swim! 150 Students from Earlington Heights, Melrose and Comstock Elementary Attended the Evening Game! Mrs. Heather Jarvis Donated Beautiful Books. Boats Group is a technology company located in Brickell, FL, matching interested boat owners with the right yacht. The company's culture is to give back to the community it serves. 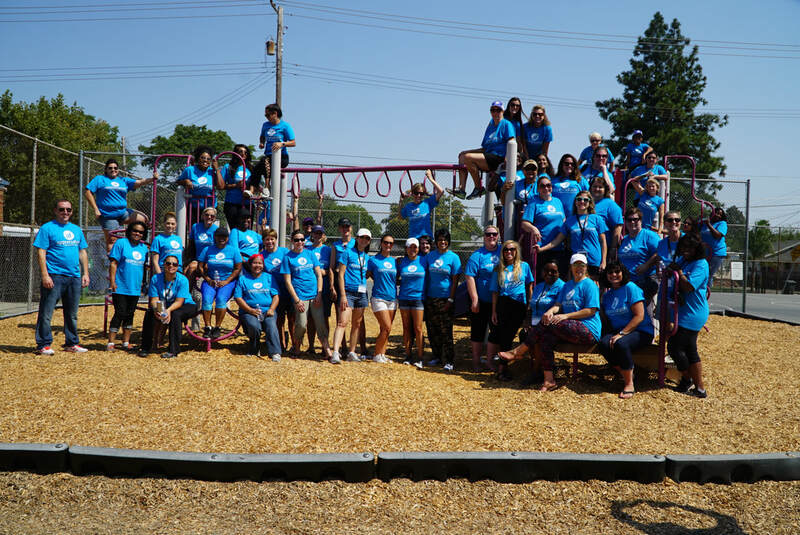 As a result, the employees volunteered their time to assist great teachers from Earlington Heights, Comstock and Melrose Elementary Schools. Public Schools located in the City of Miami. Their mission was to assist teachers in setting up their classrooms for the 1st week of school. As you can see the objective was accomplished. Great to have you as a SMF partner. Thank you Boats Group! The 67 Earlington Heights Elementary students who attended the Exercising Science field trip had to work to be given permission to attend. These incredible 67 urban students met their reading and math iReady goals. Time to receive the benefits from good grades. Happy Holidays and Happy New Years Everyone! Who says you can't have a snowman in Miami? Say hello to snow women Athletic Ali. Everything is possible just modify. Remember t girls and boys keep striving for your dreams! ​iReady Reading & Math Champions Field Trip! Streamline Miami would like to wish everyone a fun and safe Halloween. Today a kitty cat but tomorrow a future caring nurse! Today a Batman but tomorrow a City of Miami fire fighter. ​Together our urban students will rise. The 2017-2018 Streamline Miami field trip season has begun! This group of urban public school students have met their reading goals. These 1st and 2nd graders, despite the distraction of hurricane Irma were able to pass their reading assessments with scores of 70% or better! Great job kids enjoy the game thanks to WATSCO Kids Foundation. One of Streamline Miami's great partners. Hurricane Irma! Just a Small Distraction. We will be Back Soon! No More F Schools in Miami Dade County! Summer 2017 is ending and a new school year shall begin. Congratulations to Earlington Heights Elementary School. When students arrive they will be entering a school that received a B+ school grade for the 2016-2017 school year. After receiving multiple F's throughout the past 4 years now these urban students can raise their heads with pride. They did the work and the results are in no more failing schools in Miami Dade County! Streamline Miami Foundation is a proud sponsor and so happy for all who work at Earlington Heights Elementary School. Throughout the Summer weeks Streamline Miami made a effort to collect children's books from families in the Coral Gables community. Many giving families gave hundreds of their unwanted books. Teachers from Earlington Heights Elementary School were happy to receive them. Here are only a few photos of the teachers who were in need of books for their classrooms. Only smiles of gratitude can be seen. Now their classrooms are complete. Thank you to all the Coral Gables families who made the effort to donated their children's books! Summer is the time SMF Board Members, and sponsors have a chance to meet and plan for the new 2017-2018 school year. So many exciting events and field trips will be expected. Even an end of school year trip. Our urban students will be able to experience great life enriching excursions. Streamline Miami Foundation is even planning it's first annual fundraising event. Get ready for an exciting 2017-2018 year. Miami is going to rise UP! Executive Director Ana Rubio is the recipient of the prestigious national award, Life Changer of the Year. This award is given every year by National Life Group honoring an educator in the United States. As a result, Ms. Rubio was invited to speak during the Women of Wealth conference held in Sacramento, California. She shared her experiences a Physical Education teacher in an urban school located in the City of Miami, Florida. Below is an excerpt from her speech. "In this day and age with the chaotic political climate we live in, we cannot wait for social change to evolve and come to us. We must create the change for ourselves and for others. Change now occurs at the grass-root level. At the smallest level. It starts with you. lt starts with me, the simple P.E. teacher." Streamline Miami Foundation sends many thanks to the wonderful women from Appreciation Financial and National Life Group. Sacramento California. This event was hosted by Appreciation Financial Life Insurance Company. On Wednesday, Aug 2, 2017 one hundred women headed out by bus to a small elementary school called Ethel Phillips Elementary School. Here they painted, cleaned and fixed the school in preparation for the new school year. By doing grassroots community projects our urban cities will improve. Make your corner of the world better. 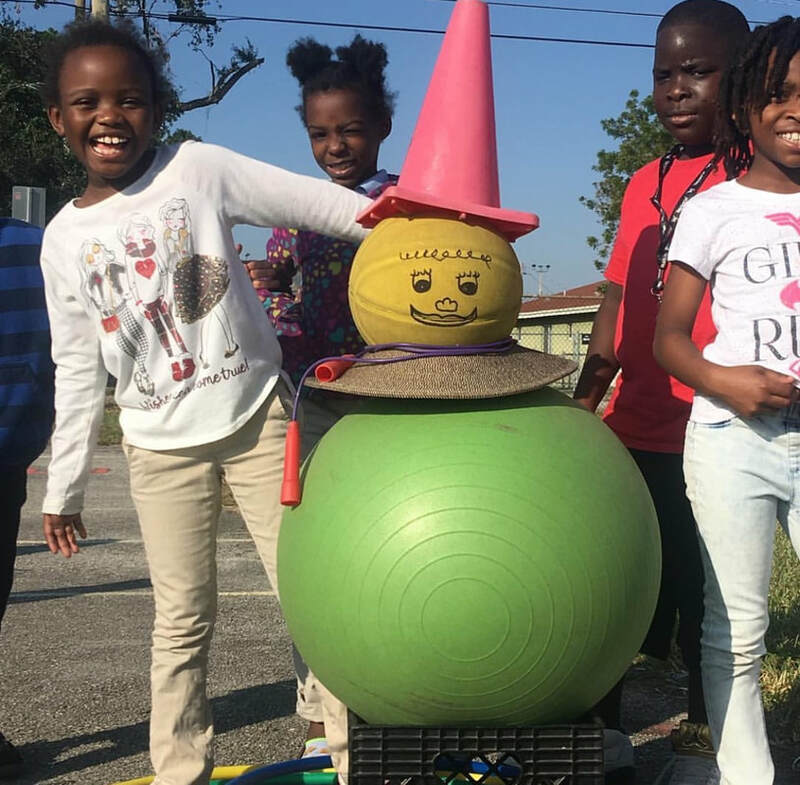 If your company is interested in assisting an urban school in the Miami area please send a message to Streamline Miami Foundation. 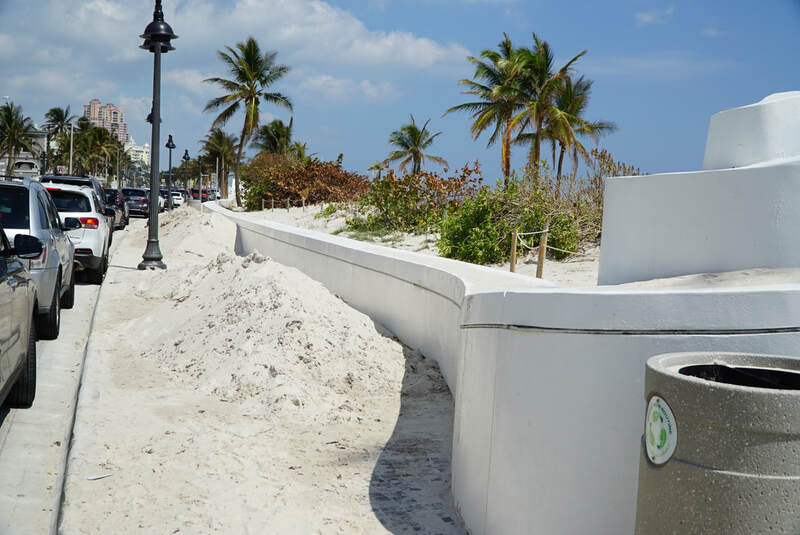 Together lets improve our City of Miami. Thank you Appreciation Financial for being a great example of how corporations and businesses can give back! 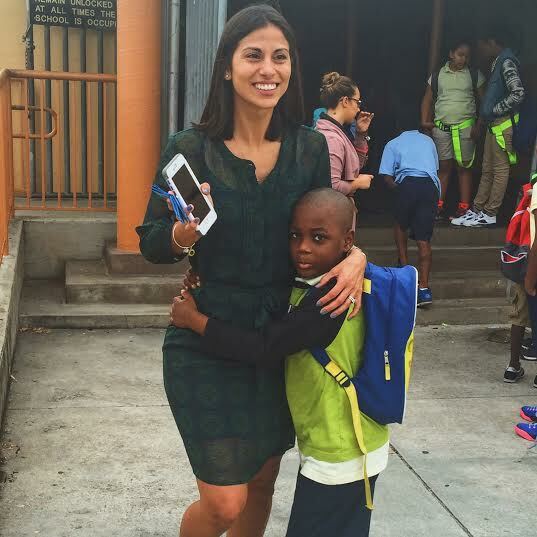 Ms. Sherman, a volunteer at a local urban elementary school in the City of Miami, had a dream of taking all her students who scored a 5 or better on the Reading Florida Standard Assessment test to Washington D.C.. She believed they could do it and they did. Although 20 were eligible only 10 were courageous enough to get on that plane. Thank you Ms. Sherman for big dreams. Thank you to all who donated on the Streamline Miami crowdfunding page that supported this trip. Thank you National Life Group Foundation for sponsoring this trip. Every year the National Life Group Insurance Company searches across the United States for an educator who goes beyond. This year there were 720 nominees and after a long process, including having the community vote, a decision was made. Ms. Ana Rubio from Earlington Heights Elementary School and the Executive Director and Founder of Streamline Miami Foundation was chosen. 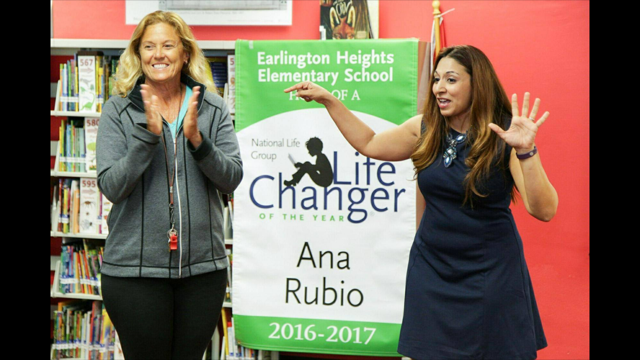 Ana Rubio is the 2016-2017 Lifer Changer of the Year for the United States. As a result, her school and foundation were awarded $10,000.00. ​ Florida International University and Miami Dad College, Wolfson Campus. 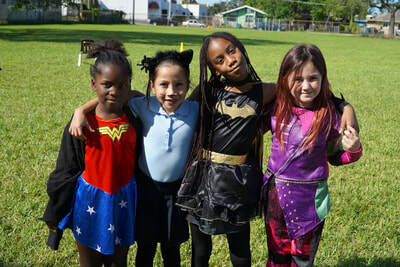 Together the University of Miami Butler Center for Service and Leadership partnered with Streamline Miami Foundation and created an unforgettable Field Day to celebrate the learning gains of some very deserving students from Earlington Heights Elementary School. University of Miami, "Art Sea Festival"
Let's Study Marine Life and Ecology! Earlington Heights Elementary School, "We Did It!" ​Congratulations! We have a Life Changer in the House! of Miami, Coral Gables Campus. The photos show what a great day everyone had. Thank you to University of Miami coordinators, Cindy Rajkumar and Andrew Simmons Mount. It was an unforgettable experience for the kids! Great People and Faces of Miami, Florida! For the month of March Streamline Miami Foundation chooses Ms. Lynette Tellez. She is the principal of Earlington Heights Elementary School, located in Brownsville. A section of Northwest, Miami. She graduated from Coral Gables Senior High School in 1999. Has her undergraduate Degree from Barry University and a Masters in Educational Leadership from Florida International University. Flag Football and Cheer leading After School Program! A little reading. A little snack. Add flag football and cheer-leading and you have a fun, safe after school program for some of our urban Miami students living in Brownsville. A great partnership has been created between Finish Line Youth Foundation and Streamline Miami. Along side some incredible Miami Dade School teachers who volunteer their time to ensure this program is a success! Thank you! What are you doing to make a positive change in the lives of our urban kids? Join the movement for change, Miami. Together let's educate our next generation. Help teachers educate now for a better Miami tomorrow! University of Miami, WASTCO Kids Program Give a Special Holiday Gift to Well Deserving Teachers and their Students. Streamline Miami Foundation is pleased to announce a great partnership with the University of Miami, WASTCO Kids Program. 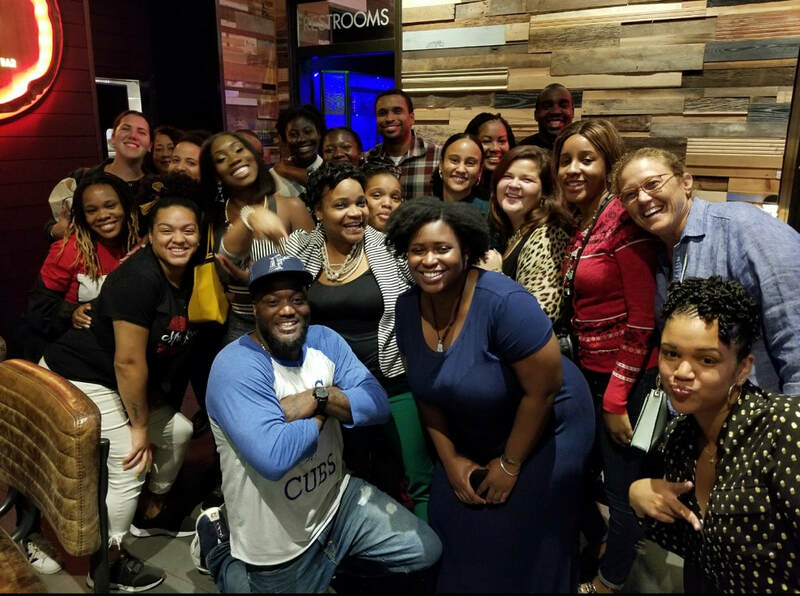 Together we wanted to thank some awesome Miami urban teachers. Their dedication and work is noticed and appreciated. To kick off the Holiday vacation, some really great urban teachers and students were given a special field trip to watch the University of Miami Men's Basketball game vs. University of North Carolina. The Hurricanes won the game 85-63! Go Canes! Thank you WASTCO Kids for a great day! Game selfie time! Happy teachers make happy students! What better way to celebrate Miami urban elementary students' academic achievements. 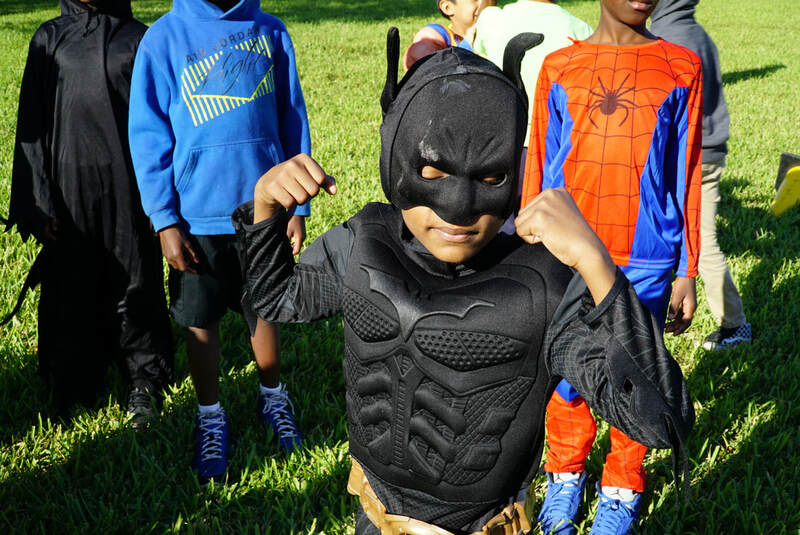 Fifty two young scholars met their reading goals and the University of Miami, Zeta Beta Tau Fraternity created an inspiring game day. This consisted of kids' favorite activities,"dodgeball, dancing and football." Then on a more serious note the university of miami students separated the children into groups where they spoke and mentored on the importance of following your dreams by committing to a path of education. Thank Zeta Beta Tau Fraternity. Streamline Miami's vision is to develop relationships with organizations and businesses who will help support Miami's urban students. On Monday, October 12, 2015 this was accomplished with Florida International University, Athletic Department. Six F.I.U. football players visited a Miami Dade elementary school where they mentored many. It was an inspiring day. Streamline Miami thanks the F.I.U football players for taking the time with our city's students. Thank you! 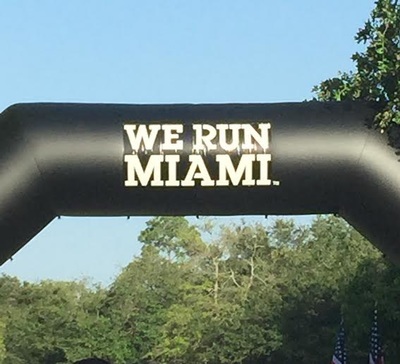 Sole Runners, We Run Miami, 4th of July 5k Run! 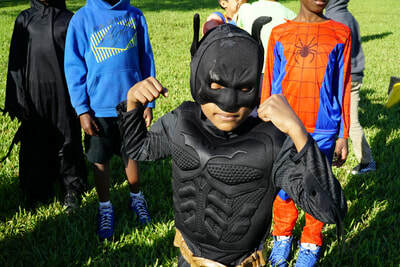 Streamline Miami is beginning a "Teachers' Get Fit!" initiative. Summer is the best time to focus on health and fitness. There are so many ways to work at improving ones overall fitness level. Educators come join Streamline Miami to run on Tuesdays, Wednesdays and Thursdays with Sole Runners! 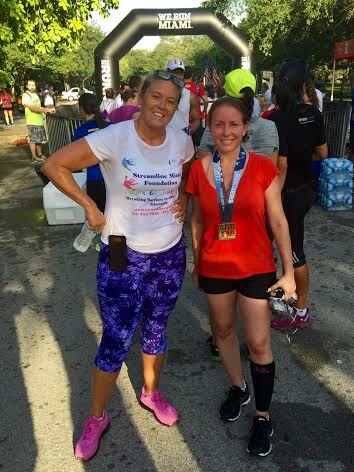 Meet great people in the Miami area while walking and running the course at your pace. 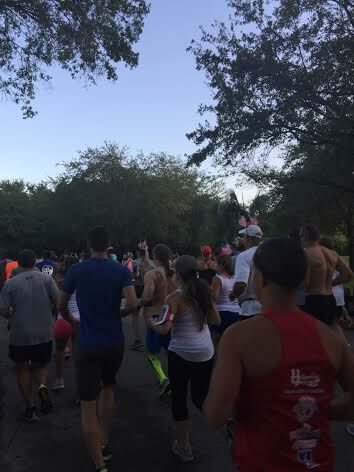 The Sole Runner's, 4th of July 5k Run was so much fun! Come join us this week for more. Streamline Miami Introducing New Partners Everyday! Actors are on an investigation in search of a grimey slug who is wasting energy. With the help of the student audience can they find him and save the planet? The National Children's Theatre presented a funny children's comedy called, "Men in Plaid." 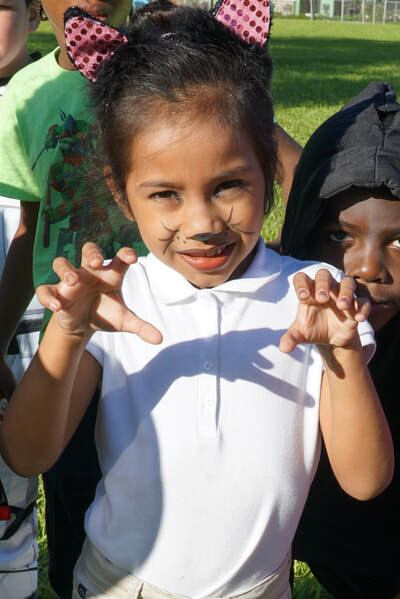 Streamline Miami was able to schedule this event for Earlington Heights Elementary. The event incorporated a science curriculum of electricity and energy conservation. The students really enjoyed the live show! This was all made possible by Florida Power and Light who sponsors the traveling show. This is another fun way students can be exposed to science! 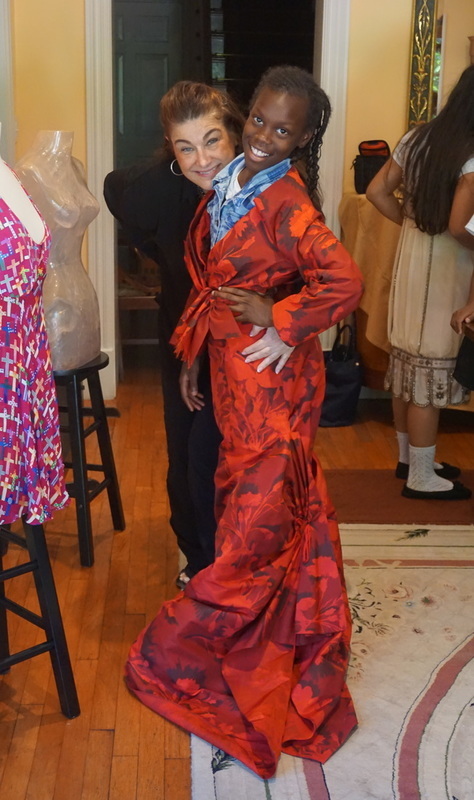 On May 19th 2015 Mrs. Melissa Sardinia from Abiti Vintage Couture, Inc. organized a fashion career day. She welcomed the students with a sign, "Welcome future fashion leaders!" She spoke about the different careers in fashion and design. Stressing the importance of a college degree in fashion merchandise or business administration. She also gave examples of the importance of math and science and how it applies in the field of fashion. This was a day that will be remembered. 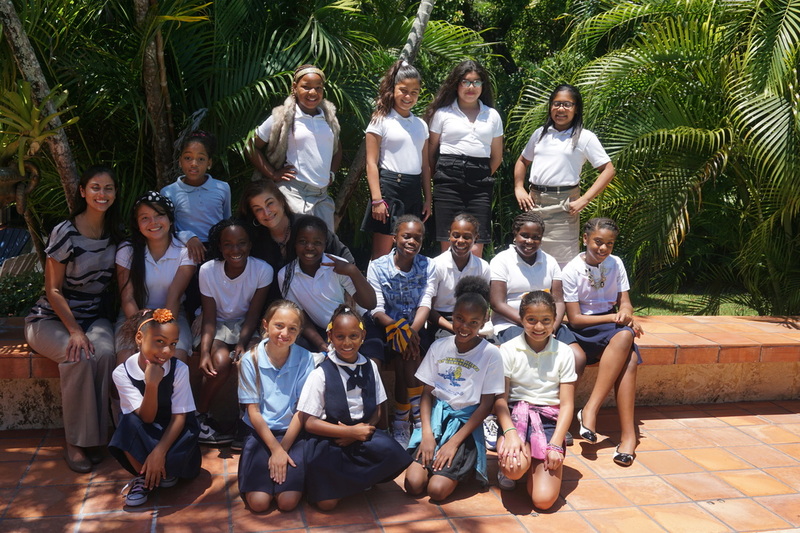 Fifty students from Earlington Heights Elementary earned passage to an inspiring field trip. 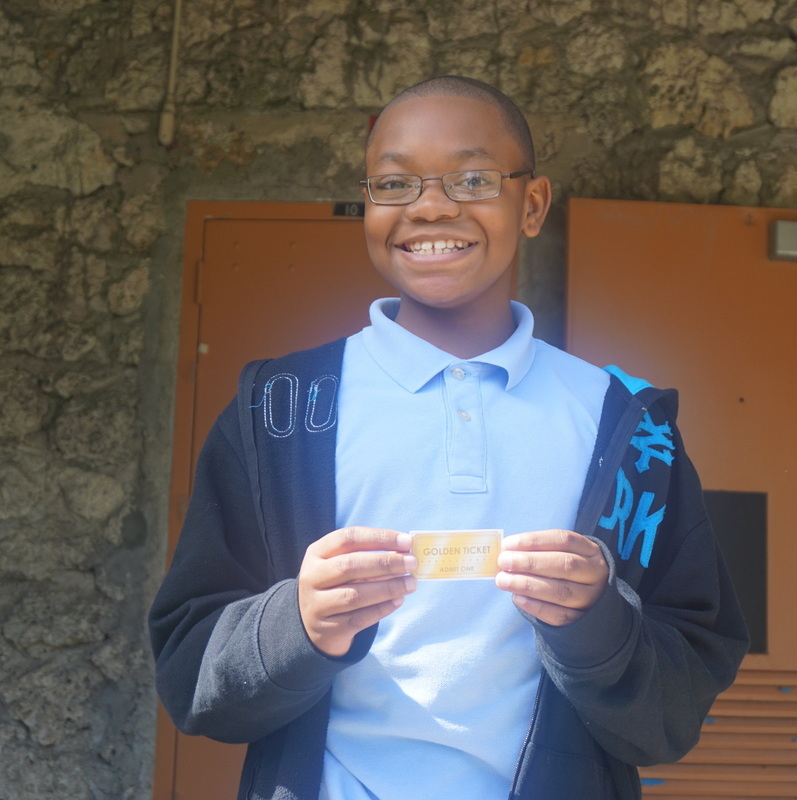 Those who met their reading and math goals earned a golden ticket for a trip to University of Miami! Urban students were exposed to campus life. This field trip was inspiring not only for the students from Earlington Heights but also for the University of Miami students who organized and implemented the event. University of Miami here I come. I earned my golden ticket! My reading and math scores went up and now I get to go to U.M.! University of Miami Game Day: The creative principal and her senior staff from Earlington Heights Elementary got together. They came up with a very entertaining idea for their students. The idea was to have a competition. 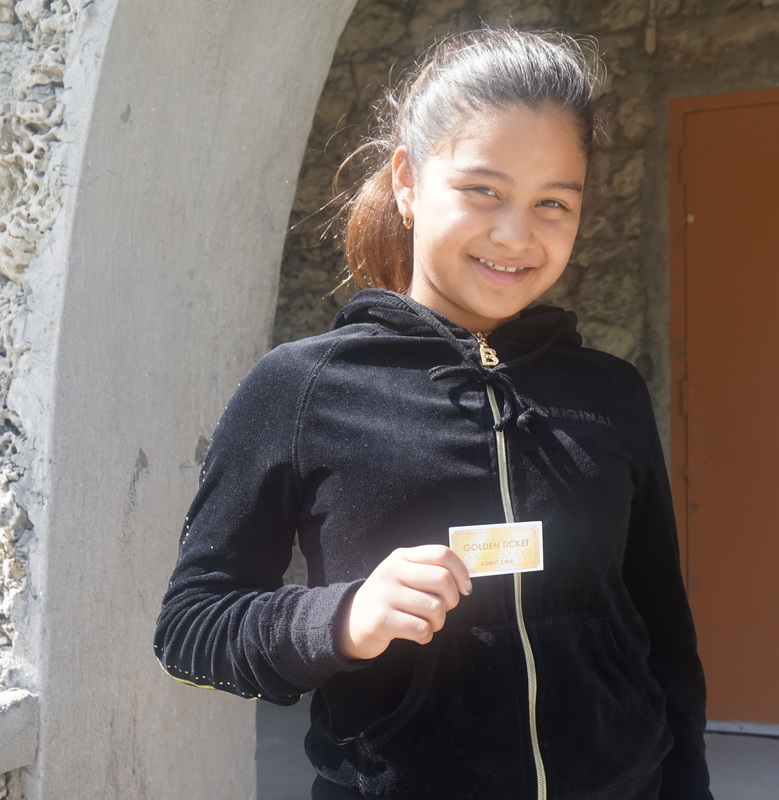 Fifty Earlington Heights elementary students in 3rd through 4th grade who achieved or surpassed their reading and math goals would be given a golden ticket. This entry gave them permission to travel to the University of Miami to celebrate their academic achievements. From January through April Earlington Heights students got to work and soon you will see the scholars who would achieve passage to this special field trip. I am a Earlington Height Elementary International Baccalaureate Scholar I met my reading and math scores and I am ready to go to the University of Miami Game Day! Yea!